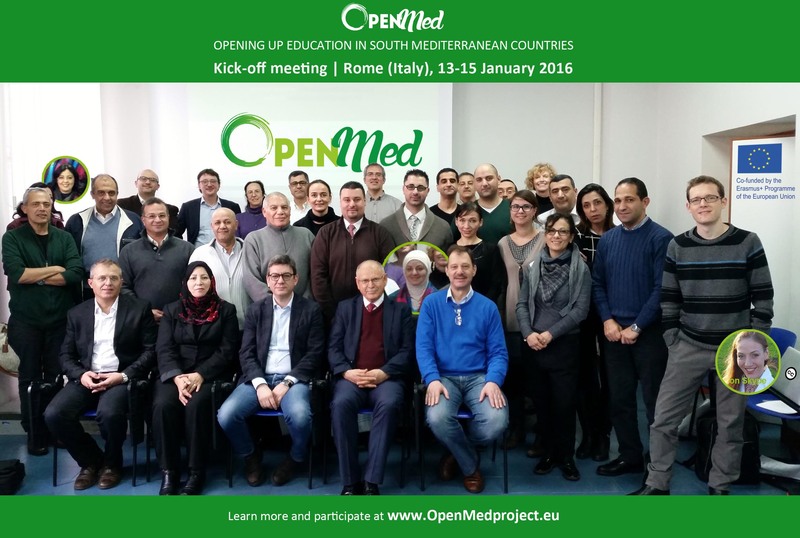 OpenMed partners gathered on January 13-15, 2016 in Rome at UNIMED for the kick-off meeting of the project. During the three-day event, participants discussed how to raise awareness and widen HEI participation in Open Education, through the adoption of Open Educational Resources (OER) and Open Educational Practices (OEP) as a bottom-up approach to support the modernisation, internationalisation and accessibility of Higher Education in the countries involved. The project will offer the possibility to other universities from Morocco, Palestine, Egypt, Jordan or any other Southern Mediterranean country to join the action as community partners. Stay tuned!